Play kicked off at the Back 2 School Bash on Friday afternoon, with more than 150 players filling Huntington Beach’s Marina Park’s eight spectacular handball courts. Players in the Men’s A Singles scrambled for ranking points to qualify for the WPH/WOR 3WallBall Outdoor World Championships in Las Vegas, September 24th-27th (entry here). Rudy cruises to the Quarters! The Men’s A (Pro) completed round of 32 and round of 16 matches on Friday, with a number of top seeds exiting the Back to School Bash in their opening rounds. Third-seeded Sal Duenas was the highest seed eliminated, losing in a tiebreaker to Fuji Hernandez. Former “Fab 4” member Rudy Cruz easily defeated last season’s fourth-ranked Chava Cordova and Noe Garcia eliminated 2015 WPH Outdoor Baja champion Brian Medina in a tiebreaker. 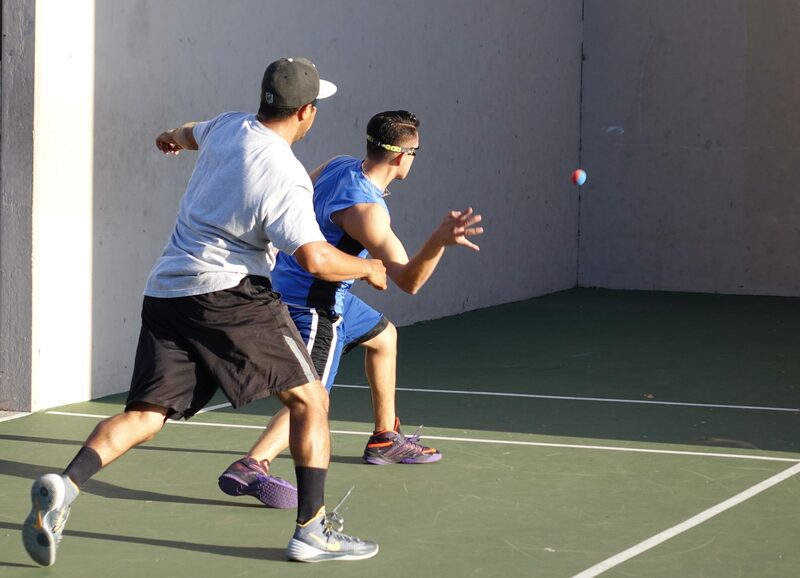 Cross over star Mando Ortiz nearly defeated 2015 WPH Outdoor Xrossover champion Lobo Valencia, rallying from a second-game deficit before falling short in the tiebreaker. 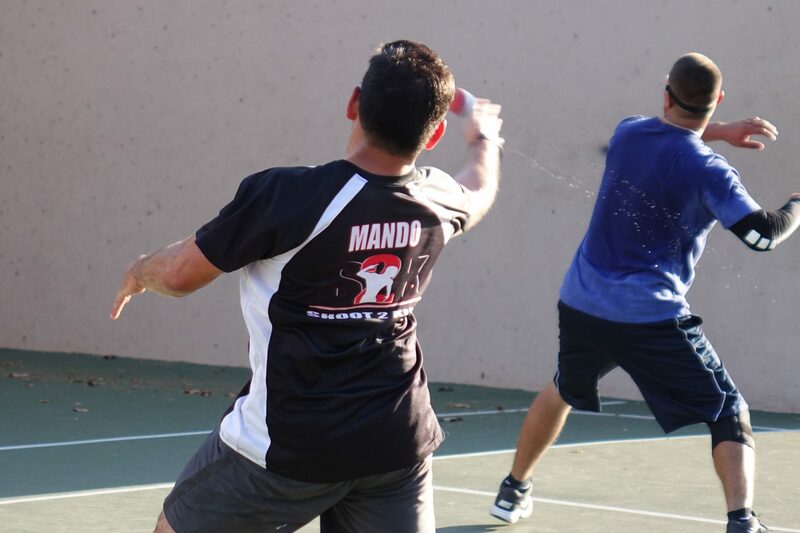 Fredo Morales played the best handball of the evening, defeating 2014 WPH/WOR 3WallBall third-place finisher Chris Tojin in two games. 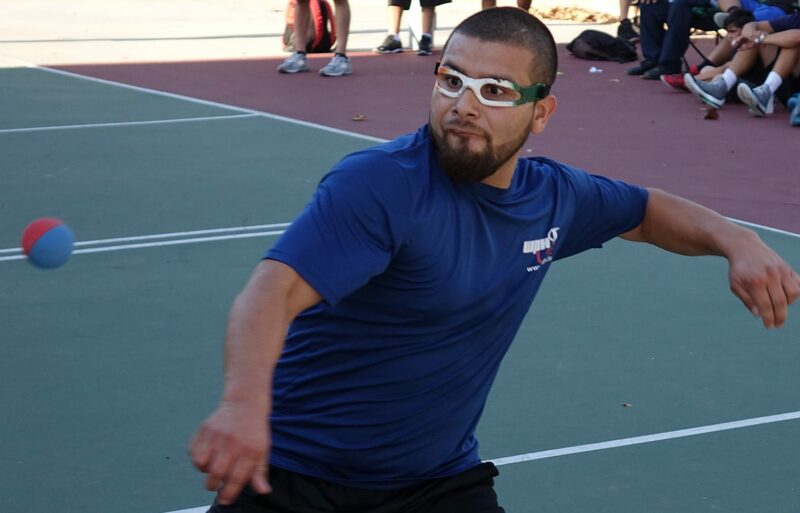 Victor Duran rediscovered the form that carried him to the finals of the 2013 WPH Outdoor Tracy (CA), trouncing Kevin Gonzalez in two games. Top two seeds Samzon Hernandez and Juan Santos avoided upsets, both cruising to the quarterfinals in two games. Men’s B singles, Junior WPH clinics and singles, and the A and B doubles will also be in action on Saturday. Junior Players 21 and Under can register to play in this event between 8am thru 10am at the Tournament desk (entry just $5.00). See you on Saturday morning (Aug 29th).